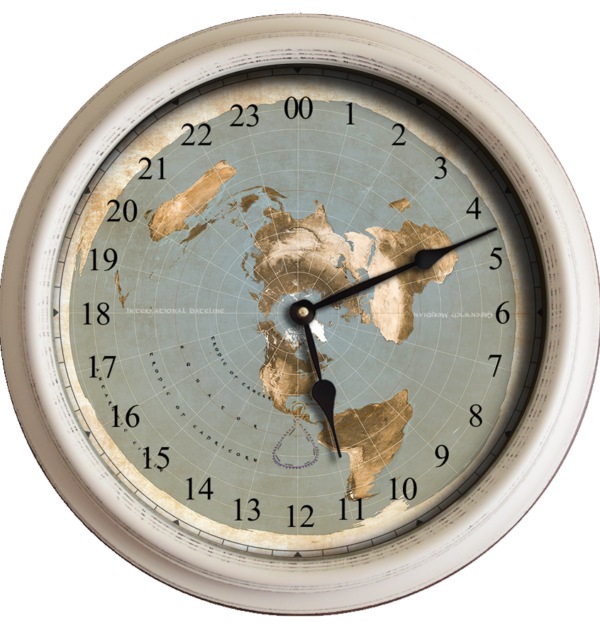 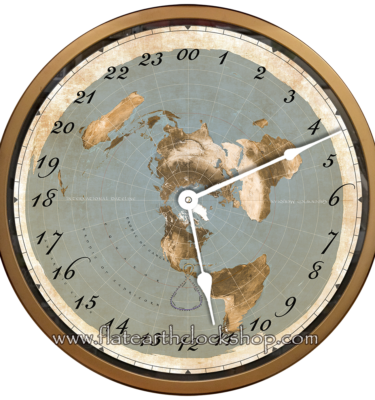 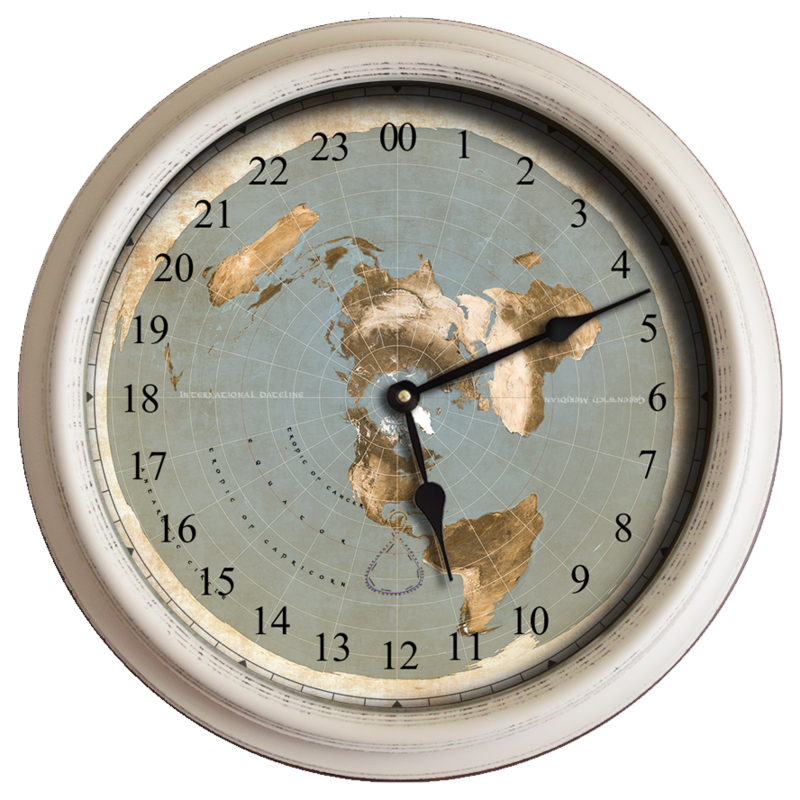 This Large 15.5 inch white clock features a 24 hour dial with numbers encircling a flat earth map. Chiron Clocks – 11:11 – Flat Earth Clock. 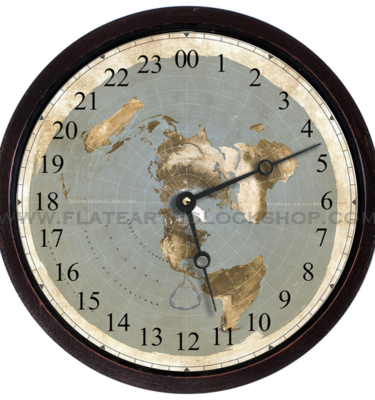 *Please allow at least 24 hours for order processing.